Experience a more private and open Internet in seconds! I already have a Monthly or Yearly TunnelBear subscription, do I also get unlimited data for the extension? Absolutely, all Monthly or Yearly TunnelBear subscriptions will also get you unlimited data on TunnelBear for Chrome. Should I use TunnelBear for Chrome or full featured TunnelBear for Windows / macOS? TunnelBear for Chrome only secures your browser data while TunnelBear for Windows and macOS secures all the data that leaves your computer. TunnelBear for Windows / macOS is also much more resistant to blocking in censored countries. If you live in a censored country, or frequently use apps outside your browser, you should stick with our macOS and Windows apps. If you are looking for a lightweight solution just for your browser then TunnelBear for Chrome is for you. What about Firefox? Internet Explorer? Safari? We hope to add extensions for more browsers in the future. Why do you keep putting so many Bears in your apps? Because Bears are insane killing machines that like their privacy. Is TunnelBear for Chrome a VPN? 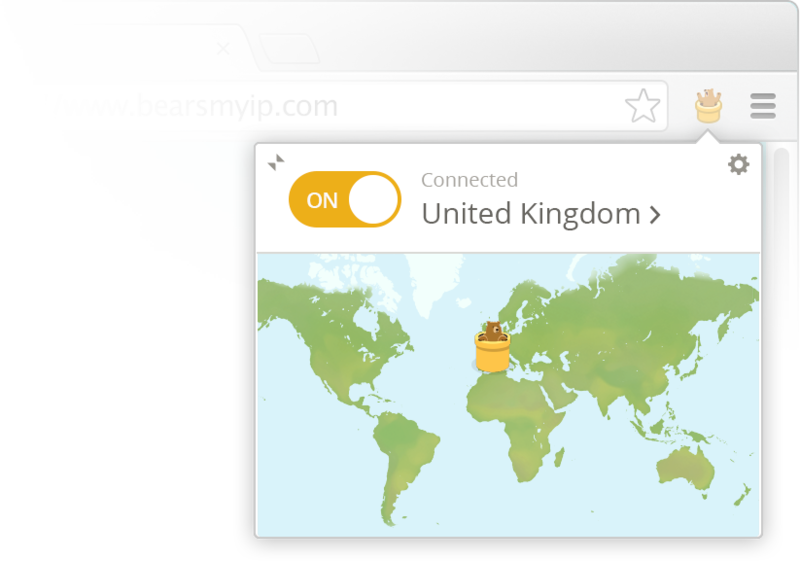 While TunnelBear for Chrome has “VPN-like” capabilities, it’s actually an encrypted proxy. For a full-featured VPN you can download our apps for macOS and Windows.